The Green Deal is a government scheme that effectively gives you a loan to fund a broad range of energy saving improvements for your home. It uses a clever mechanism where customers pay back the loan through the savings on their energy bills resulting from the improvement. More information on the scheme is available here. The scheme had a ‘soft launch’ in October and will be open for applications from the 28th January 2013. So why shouldn’t you wait for the scheme to get your improvement installed? 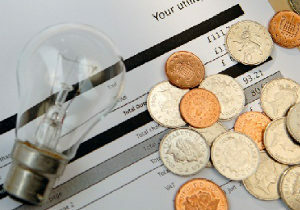 The Green Deal scheme will initially charge a maximum of 7% interest on the loan payments included on customers’ bills. This is far higher than other borrowing like extending your mortgage, which can be as low as 4%, though those behind the Green Deal say that it may reach these rates once competition between Green Deal Providers takes hold. It’s uncertain when this will happen, however. The first step in your Green Deal customer journey is getting a Green Deal Assessor to carry out an assessment, which costs £100. You can get your improvement done without the Green Deal and save £100. The Green Deal has so far been hampered by more than its fair share of confusion, leading to far fewer companies signing up as Green Deal Providers than expected. Under the scheme you will only get one quote for your work from each Provider, so the usual shopping around for a quote becomes shopping between Providers. These two factors mean that a small group of companies are in charge of setting quote prices, with little of the competition you’d see on the open market driving the prices down. So how can you avoid this and pay a fair price for your installation? The answer is go outside the scheme and use a service like ours. If you go ahead with one of our improvements we’ll offer you three quotes from installers near you. Having a choice of three quotes drives price transparency so you pay a fairer price, with you choosing who carries out your work. Our installers are all accredited for the technologies they install and our friendly, personal customer service ensures that you get a high quality installation you’re happy with. Why find your home’s next improvement using our assessment tool?